On March 2, 2012, at 0920 hours, the West Yellowstone Police Department received a report of an injured snowmobiler approximately four miles west of West Yellowstone near the South Fork of the Madison River. Deputies and volunteers from the West Yellowstone division of Sheriff’s Search and Rescue, Yellowstone National Park and the Forest Service conducted the rescue. 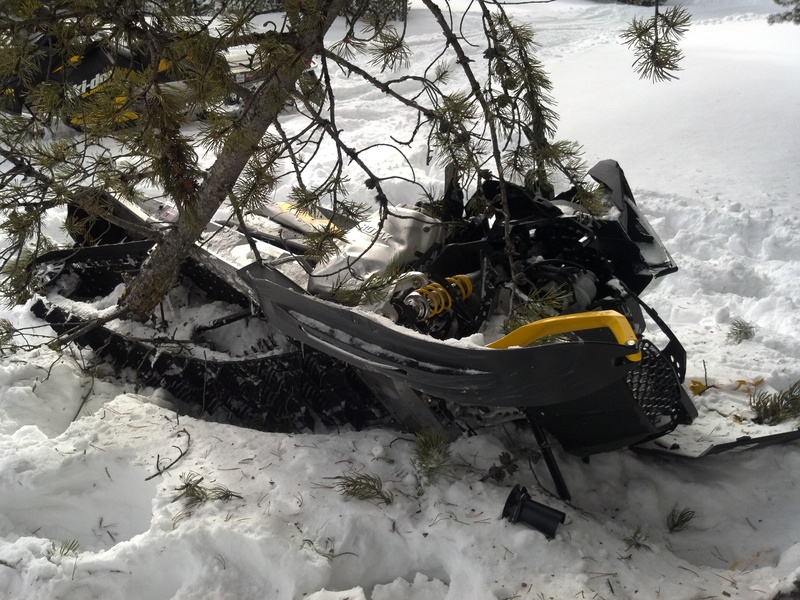 A 42-year-old male from Tel Aviv, Israel, was operating a snowmobile on a groomed trail when he lost control, left the trail, and struck a tree. He hit the tree with such force that it knocked his helmet and both of his boots off. His boots were found approximately twenty feet from the accident site. He suffered life threatening injuries and was transported out of the backcountry by the rescue team. He was then transferred to a Hebgen Basin Fire Department ambulance. They met a life-flight helicopter from Air Idaho. He was then flown to the Eastern Idaho Regional Medical Center in Idaho Falls, Idaho. Doctors in Idaho indicated that his life was saved because of the rapid access and transport by the responders and that 15 more minutes could have made the difference between survival and death.